Do you follow my Instagram feed? 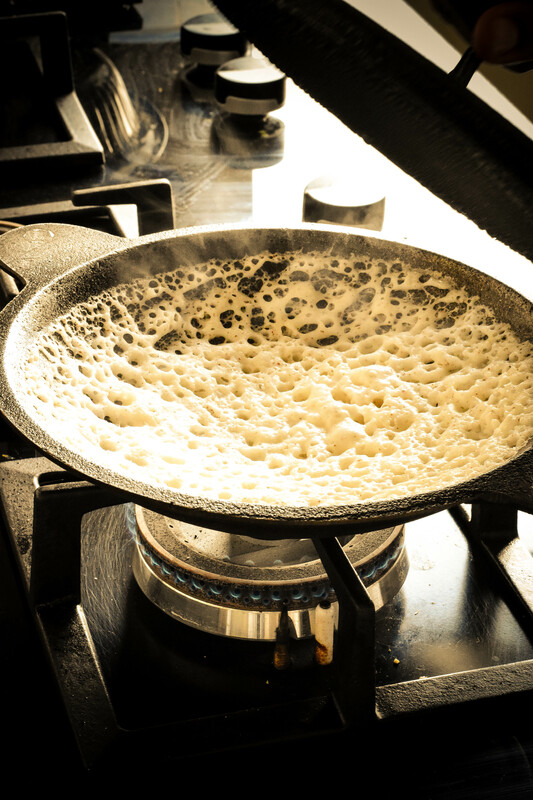 Many a times Appam is our preferred breakfast and it is super easy to make once you have the batter. 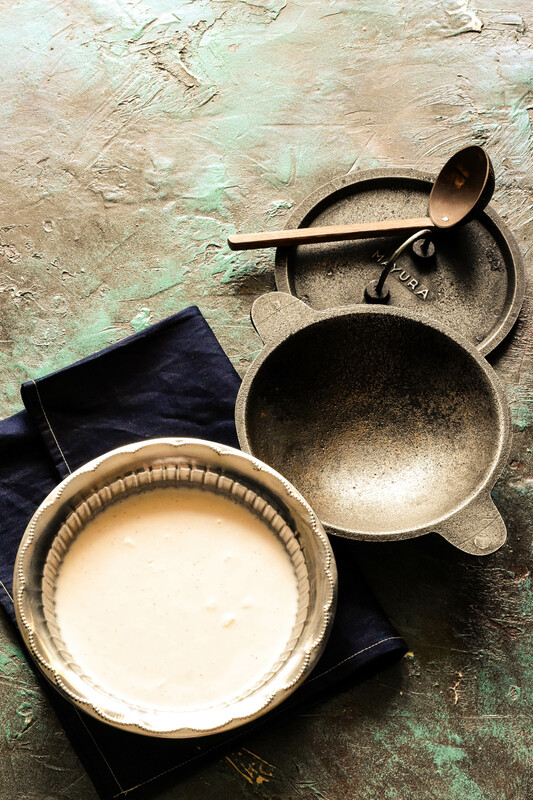 Much like the dosa batter but I use yeast in this recipe. There are recipes that do not include yeast but I love that lovely fermented smell that comes from the yeast and frankly its more like a – ‘Soak, Dump , Grind and Rest’ method. The reason it is called a Lace Hopper is because of those wonderful intricate lace like weave that it has on the outsides. The inner centre of the circle is thicker and the outer ring is crispier. 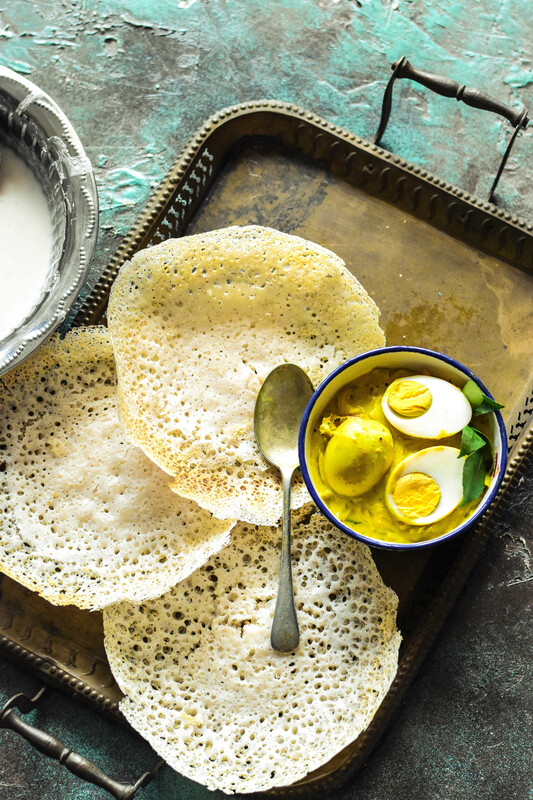 These are perfect with a coconut milk based egg curry. The recipe for which I will share later. You could also pair with left over curry from the previous day. My son started school this week and man now I know how it feels to be a mum of child going to school!! no am not talking about the work that goes into getting him ready for school but the fact that this little human being is already ready to start his formal education! The school is like no other school we have ever seen. It believes in being as natural and close to the environment as possible. Infact as you enter into the school you wonder where the building and concrete structures of the school is. Lots of lush green, children learning under trees, no foot wear, greeting each other with a namaste. In all, this is the perfect place for my little one. While the little one is inside his little environment, I sit outside and just breathe! all the fresh air and the sounds of chirping birds, the occasional squirrel running around. It feels like a Gurukula straight out of the Mahabharata! In all this new change is one my little bunny is trying hard to cope up with but is also something he looks forward too. Wish me luck people! I hope he likes it for all the years to come.. So back to the recipe! 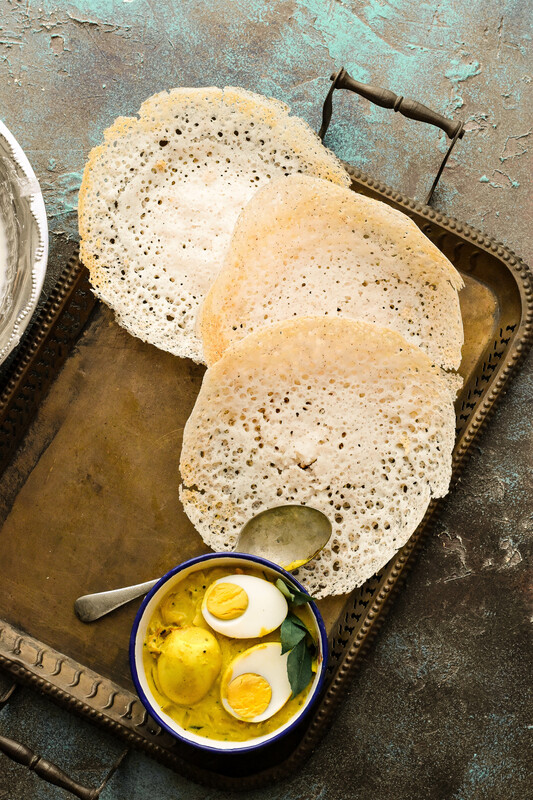 This recipe makes easily 20 appams and you have 3 breakfasts from the week sorted. Now before I get into the recipe, I wanted to tell you this. 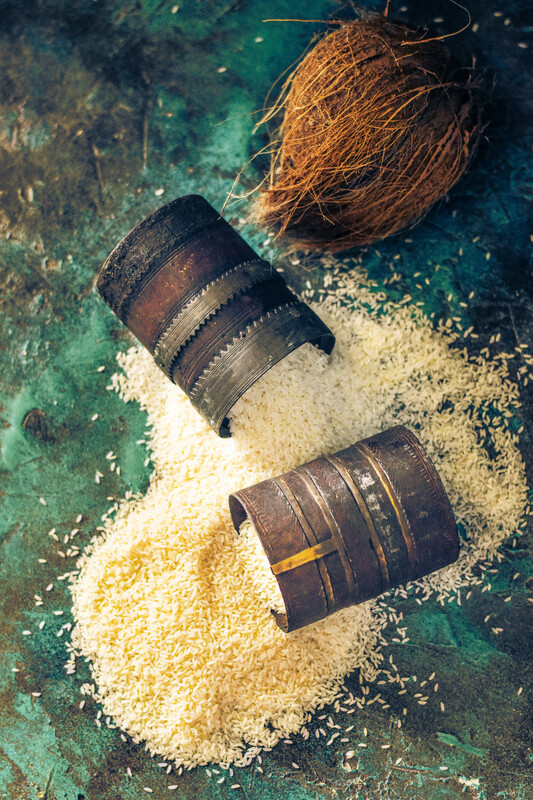 Traditionally appam is make with ” Kallu” / palm wine / Toddy . 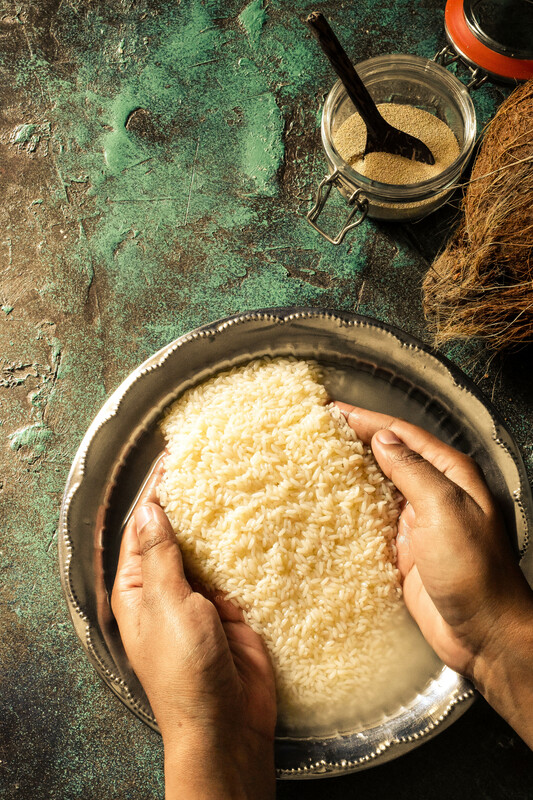 It helps in the fermentation and it gives the appam its unique smell. But Kallu is hard to find and yeast gives you just about the same smell so why not? My grandmother lives on a property that houses almost 5 dozen coconut trees and so back in Kerala toddy is easier to come across and the appam is so so good! Also the heat and the humidity of the place also helps in making the perfect batter. This is my straingforward recipe and it works all the time. All you need to make sure is it to keep the batter in a warm place of your kitchen over night. Not in the fridge! Not near a window with cold air blowing in etc. A nice warm corner for the yeast fairy to work her magic! finally just before you remove the blender jar from the machine, add the yeast water and the rest of the water and run the blender for 1 min. Now use a large vessel / container for the fermentation. Pour the batter into the container and add 2 tbsp of sugar. Mix well and combine. Once it is done, take off the lid and let it cook for 1 min. Then slowly loosen the centre and transfer to a plate!